Abraham comes from a secular Jewish family in Arlington, Massachusetts. He has attended high school at Gann Academy and the New Jewish High school of Greater Boston. Currently, he is a Junior at Williams College studying Mathematics and Arabic. Abraham has been involved in the Williams College Jewish Association since his Freshman year, and is now the co-president of the organization. For the past two summers, Abraham has worked at an arts program with Israelis and Palestinians. After graduation, Abraham hopes to continue doing interfaith work at home and abroad. Akber’s interest in religion stems from his familial and social background. His upbringing placed a great emphases on the importance of interfaith acceptance and discourse, which imbedded in him the morals of tolerance and understanding. As a South Asian Muslim-American, he grew up with an awareness that his religion progresses from Judaism and Christianity while his ethnic and cultural roots are closely linked to Hinduism, Buddhism, and Sikhism. Akber’s multi-faceted heritage spark his personal interest and investment in interfaith dialogue and motivates him to remain active on the California Interfaith Council at UC, Berkeley. Through interfaith events like Shabbat, storytelling, and tea discussions, his committee has been successfully bringing people from various backgrounds together. This experience, in addition to his personal experience and background, has deepened his understanding that there is no one experience that could define the experiences of an entire religious community. He takes pride in being part of the Cal Interfaith Council and plans to continue his work to foster further acceptance and tolerance within the larger Berkeley community. Anthony is an outgoing, motivated person. At 22 years of age, he left his Midwest home and drove east with two cats and a few dollars. He worked his way up from the bottom putting himself through school. Dedicated to learning, his primary goal is to obtain knowledge and share it. Anthony has been a student of Philosophy and Religious Studies at New Jersey City University since 2013. Anthony began his collegiate studies in Philosophy, Theology, and Biology in 2009 at Bergen Community College where he graduated with an Associate’s Degree in Natural Sciences. Anthony was one out of ten undergraduates in the nation accepted to the Summer Research Experience for Undergraduates (REU) sponsored by Montclair State University. Anthony was again accepted into another summer program studying in neurology, sponsored by the Louis Stokes Alliance for Minority Participation. After two years of research in the natural science field Anthony turned toward his true love of social science. Chananya is a junior at Queens College earning his bachelor’s in Neuroscience with the aspiration to become a physician. A stellar student, he is also a research assistant in a neuroscience laboratory and is a Migdalim fellow, a collaborate program between Queens and Hunter college’s Hillel. Through this fellowship, he facilitates conversations on campus about Israel with fellow students. Under the prentice of Professor Rosenblum, Chananya conducted an analytical research on the Israeli-Palestinian negotiations examining Camp David I, the Oslo Accords, and Camp David II with the Clinton Parameters. Currently, Chananya works as a medical scribe for a local pediatrician, and is planning to collaborate with other Ibrahim fellows to organize and develop on-campus conflict transformation events. Charlotte is also called by her friend with her Hebrew name, Yehudit. Raised as an Orthodox Jew, she attended Bais Yaakov Academy for Girls of Queens and Manhattan High School for Girls- also called Machon Yaakov L’banot. Charlotte is a Queens College junior majoring in Anthropology and minoring in Business, Liberal Arts and Arabic. One of the primary reasons she chose to attend Queens College was its dynamic Jewish community. Inspired by her parents’ vital role as volunteers in the local Jewish community, she wanted the chance to help build a community as well. 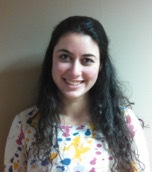 Since freshman year, Charlotte has been involved with the QC Jewish community in various of ways; she is a member of the QC Hillel First Year Council, editor of Shevet- QC Hillel’s weekly Jewish learning newsletter, and as Vice President of Hillel Club. Charlotte strongly believes that interfaith understanding is a facet of Judaism and a religious and moral responsibility. Therefore, one of her primary goals as a rising leaders is to build close relationships with other clubs and work on interfaith programming with the Muslim Student Association. Her interfaith work has further inspired her to work with both, the Center for Ethnic, Racial, and Religious Understanding- CERRU and the Jewish Community Relations Council to improve interfaith relations and programming. 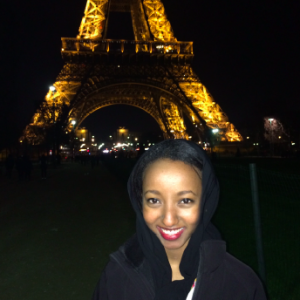 After graduation, she plans to continue her education and earn a Master’s in Arabic. Charlotte aspires to teach at the high school and adult student level, and develop programming that uses language learning to foster intercultural and interfaith harmony. The outdoors are a huge part of my life. At the age of three, my mom introduced me to white water rafting, a sport I enjoy to this day. At four I went rock climbing and skiing for the first time. I volunteered with the forest service for two summers in high school, and in my senior year I founded an outdoor club and organized and led three multi-day trips. At the same time, I started pursuing a more recently discovered passion for writing. In my sophomore year I began writing poetry as an exercise in creativity. One of my poems won a creative writing competition and was published in the nationally renowned American River Review, boosting my writing confidence. During my senior year of high school, I began writing the first book of a young adult trilogy. I have since finished my first novel and begun the sequel. I spent my freshman year studying physics, anticipating that it would fascinate me. However, I did not find my passion in this field and sought a more gripping area of study. I turned to international relations, a topic that has always intrigued me. Over the past two years, I have engrossed myself in exploring the intricacies of the Middle East. I am incredibly lucky to have access to the staff at this university and intend to continue utilizing this valuable resource to advance my studies. Jabeen was a student at Dominican Convent School and a great debater and speaker. She used her communication skills to be a voice for those who were ignored and unheard. While she studyed O’levels Cambridge, she learned about Islam in English and understood what message Islam conveyed rather than mere memorization. Upon her return to the US in 2011, she started wearing the hijab and became aware, yet bothered, to see some people hesitant to approach each other due to different religions. 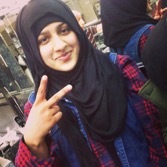 Jabeen has always kept her friendship circle diverse and goes out of her way to learn more about other faiths and traditions by attending different religious institutes. Despite differences, “we are humans” she says. Jacob is a sophomore at Hunter College in the Macaulay Honors College majoring in Political Science and Chinese with a minor in Arabic. At Hunter, he is involved with the Hillel and is a member of the Hunter College chapter of the Roosevelt Institute, where he researches and writes about sexual assault policy. He is also a contributing writer to the Honors College’s online paper, the Macaulay Messenger. Outside of school, he volunteers as a victim advocate with the Crime Victims Treatment Center. As a freshman, Jacob interned at the Permanent Mission of Israel to the United Nations, an experience which spurred his passion for international affairs and conflict resolution. Previously, he has interned for United States Senator Kirsten Gillibrand and volunteered for the campaign of Congressman Steve Israel. Jacob has always been passionate about building mutual understanding and, after participating in the Ibrahim Program, he hopes to bring interfaith activities back to his campus. Jessica was born and raised in Newark, New Jersey by her Jamaican immigrant parents. She is the first in her family to attend a higher education institution, New Jersey City University pursuing a Bachelor’s in History. In addition to her fluency in Spanish, Mandarin, and German, she also writes for the NJCU student newspaper, The Gothic Times and has been inducted into the National Society of Collegiate Scholars, for academic excellence. She was also a member of the Black Freedom Society, Educational Opportunity Fund’s Student Advisory Board, and the Fashion Club at NJCU. Her hobbies include visiting museums, collecting postcards, doing makeup and cosmetology, shopping, reading, and writing poetry. Jessica’s socioeconomic status made studying abroad seems as a distant dream until 2014 when she was presented with the opportunity to go to Chengdu, China. Her experience in China has boosted her confidence, taught her independence, enhanced her ability to communicate effectively with a variety of diverse people while learning a language. The opportunity to travel to different countries and gain new cultural experiences is truly exciting and phenomenal. Monica was born and raised on Long Island, New York and is a self-proclaimed beach bum. Currently, she is lives in New York City pursuing her undergraduate degree in English and Political Science at Queens College. 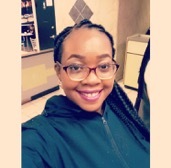 She is a University Scholar as part of the Macaulay Honors College, a Hertog Scholar, and a Student Fellow at the Center for Ethnic, Racial, and Religious Understanding (CERRU). Her work at CERRU has taught her valuable skills in dialogue and conflict resolution. Monica is the co-founder and former president of Girrrlz, an on-campus club that provide save space foe women-identified persons to facilitate dialogues and raise awareness about women’s issues. In the past, Monica has worked on non-profit communication strategies, Peace Action campaigns about the cost of war, and housing legislation in the New York City Council. Monica hopes to spend some time working in government intelligence before one day pursuing a PhD in English, concentrating on post-colonial studies. She is a huge New York sports fan, despite their less than stellar records as of late. Go Knicks! Rivka is a sophomore at Brandeis University pursuing double majors in Islamic and Middle Eastern Studies & Near Eastern and Judaic Studies with a minor in Politics. Currently, she serves as the Education Coordinator for the Brandeis Orthodox Organization and is the Co-Executive Coordinator of Brandeis Visions for Israel in an Evolving World (bVIEW) which fosters innovative and future-oriented dialogue about Israel and the Middle East. Through bVIEW, Rivka organized a conference of 300 students and has interviewed Thomas Friedman of the New York Times. Hailing from a Modern Orthodox household on Long Island, New York, Rivka attended Yeshiva day school and Religious Zionist camp from elementary through high school. She was chapter head of her Religious Zionist Youth group for three years and worked at the Religious Zionist camp through past summer. Following high school, she attended a Jewish religious studies program in Israel for a year. Today, Rivka struggles to reconcile her deeply rooted Orthodox Judaism with her newly avid feminism. Rivka is outgoing, passionate, and dedicated to the causes she espouses and the people she loves. She enjoys spending time with her friends, engaging in intellectual religious debate, and dabbles in musical theater. She loves to sing and had performed with her award-winning high school choir for four years. She also likes listening to alternative metal music and eating soup. Robert is a third year Interdisciplinary Studies major at UC Berkeley. He was born and raised in the Bay Area by two native Californians. He spent a great deal of his youth playing sports at a highly competitive level finding a great deal of joy on the football field and baseball diamond. In the classroom, perhaps as a symptom of early and continual exposure to the work of his political consultant father, Robert’s academic interests began to mature in the direction of foreign policy and governance issues. 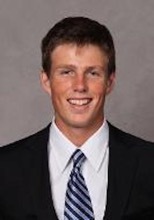 Robert’s academic excellence and athletic experience allowed him to continue his studies and football endeavors at Brown University. At Brown, he felt enticed by relevance and applicability of his studies to current events and conflict issues, particularly in the Middle East. After a year of the student-athlete lifestyle, Robert decided to focus solely on his studies, and immerse himself in multiple facets of student life. He transferred to University of California, Berkeley to continue his studies. 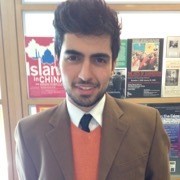 Shawheen is a sophomore at Harvard University studying Economics and Migration Studies & Middle Eastern Studies as well as Arabic and Portuguese. He is especially interested in economic development and poverty alleviation though social entrepreneurship. Recently, he joined a vibrant start-up team, Rumi Spice, which aims to strengthen the Afghan economy through developing the supply chain of saffron in the country. He hopes to learn from this experience in order to create other innovative means of advancing regions in need. Shawheen was raised in a very multicultural family, and have consequently grown to appreciate cultures that are very different from his own. Fleeing from religious persecution at the wake of the Iranian Revolution of 1979, his family sought asylum in all the corners of the world—now living in the U.S., Spain, Haiti, Madagascar, Brazil, and more. Given this exposure to a diverse array of cultures, he enjoys studying different cultures and languages. In order to make a difference in the world, he believes understanding diversity is of paramount importance. Shawheen will be working for the World Bank this summer and hope that his experiences continue to equip him with the tools necessary to tackle the development challenges of the Middle East as he aspires to work in economic development in the region. Yusra was born and raised in the Greenbelt, Maryland, or the suburbs of DC. She is a Muslim-American of Sudanese and Eritrean descent who grew up speaking both Arabic and English. She loves traveling, and has been to a few countries in the Middle East and North African regions including Sudan and Saudi Arabia. Growing up as part of an active family, she was involved in the Muslim community within her hometown, which translated to her involvement in her high schools Muslim Student Association and eventually college through the Penn MSA and the Wharton MENA (Middle East and North Africa) group. Yusra moved to Philadelphia to pursue her studies at the University of Pennsylvania, where she is currently a junior studying Biology and Middle Eastern Studies. She is involved in a biochemistry research on campus and a service and leadership organization (APO). She hopes to pursue a career in health or medicine. Yusra enjoys running, photography, Romanian music, and meeting new people.